Are customer service representatives happy? Customer service representatives are one of the least happy careers in the United States. At CareerExplorer, we conduct an ongoing survey with millions of people and ask them how satisfied they are with their careers. As it turns out, customer service representatives rate their career happiness 2.3 out of 5 stars which puts them in the bottom 3% of careers. Salary: Are customer service representatives happy with their salary? Meaning: Do customer service representatives find their jobs meaningful? Personality fit: How well suited are people’s personalities to their everyday tasks as customer service representatives? Work environment: How enjoyable are customer service representative’s work environments? Skills utilization: Are customer service representatives making the best use of their abilities? Are customer service representatives happy with their salary? Customer service representatives rated their satisfaction with their salaries 2.3/5. Customer service representatives tend to be quite unhappy with their salary, with very few reporting satisfaction with their pay. We asked customer service representatives how fairly compensated they are for their work. Do customer service representatives find their jobs meaningful? On average, customer service representatives rate the meaningfulness of their work a 2.0/5. The majority of customer service representatives struggle to find any sort of meaning in their work, likely resulting in less satisfaction with the career overall. We asked customer service representatives how meaningful they found their work. How well are people’s personalities suited to everyday tasks as customer service representatives? Customer service representatives rated their personality fit with their work an average of 3.5/5. The majority of customer service representatives find their personalities quite well suited to their work, with relatively few having complaints about their fit. We asked customer service representatives how well their personalities fit into their careers. How enjoyable is a customer service representative’s work environment? As a whole, customer service representatives rated their enjoyment of their work environment 3.0/5. Some customer service representatives are happy with their work environment, but it does not seem to be a meaningful contributer to career satisfaction for most. We asked customer service representatives how much they enjoyed their work environment. 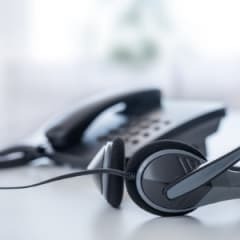 Are customer service representatives making the best use of their abilities? Former customer service representatives on CareerExplorer have rated their skills utilization 2.3/5. Most feel that their skills are being underutilized in the career, probably leading to more general dissatisfaction with being a customer service representative. We asked customer service representatives how well their abilities were used in their careers.